An amazing blend of traditional and modern theater, music, dance, acrobatic, juggling and contortion beautifully choreographed and performed in a story about Cambodian lives and society. This is a great experience and should not be missed. 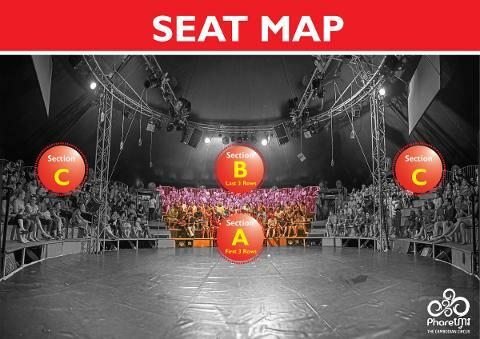 Pop into our office and watch a bit of the circus on our screen, find out which show is running and talk to our team about the performances. 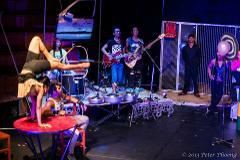 “Phare, the Cambodian Circus” is an offshoot project of Phare Ponleu Selpak (Association) which translates as “Brightness of the Arts” in English. PPS Association is a Cambodian non-profit, non-governmental association founded in 1994 by eight young Cambodians ex-refugees artists in the area of Anchanh Village, Ochar Commune, Battambang Province. The Circus performs nightly in Siem Reap with shows commencing at 8.00pm; we recommend arriving by 7:30pm to get a good seat! If you plan to have dinner at Phare Cafe (highly recommended!) we recommend arriving at 6:30pm. In Cambodia, we take our ghosts seriously. 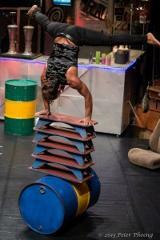 Unless it’s the performance ‘Preu’ (Chills) at Phare, the Cambodian Circus in Siem Reap. ‘Preu’ is the story of a group of students who encounter ghosts during the night while sleeping. These young Cambodians confront their fears and anxieties with all the courage they can muster. ‘Preu’ is a modern Cambodian circus play performed by Generation 5 student artists of Phare Ponleu Selpak Artistic and Social Center. The performance mixes theater, music, dance, acrobatics, juggling, aerial acts, contortion and other circus skills to portray this beautiful story about Cambodian culture and beliefs. Immerse yourself in the universe of ‘Preu’ without worry, because to overcome your fears, you need to face them first. Steeped in the Cambodian culture and popular beliefs, Eclipse is a tale about discrimination. A young man, who suffers from being rejected because of his difference, prays for divine intervention. The gods transform him into a very attractive woman, suddenly getting a lot of positive attention, until a mysterious plague begins to consume all the villagers. Eclipse artists will astonish you with their energy, emotion, enthusiasm and talent. You will leave feeling elated by this story of the triumph of the human spirit over adversity. Sokha is a child haunted by visions of the atrocities and destruction by the Khmer Rouge. Her memories and the surreal weave with myths and facts. Cringing in darkness, consumed by her fears, Sokha discovers her strength and resilience, and gathers all her determination to fight despair. Thanks to her trust in human nature, her choice as an adult will be to believe in social reconstruction by youth using art as a healing and solidarity factor between generations. Amazing circus techniques and powerful visual arts, accompanied by live traditional and original Cambodian music, reveal the long term affects suffered by post-war victims while maintaining a strong sense of optimism and triumph of the human spirit. Sokha’ s life is a metaphor of Phare Ponleu Selpak association’s beginnings. The 8 cofounders returned to Cambodia in 1994 after spending their childhood in refugee camps in Thailand, where they received art therapy to overcome the trauma. They opened an artistic and social centre in Battambang to rebuild their community and help others from exceptionally difficult social and economic backgrounds. 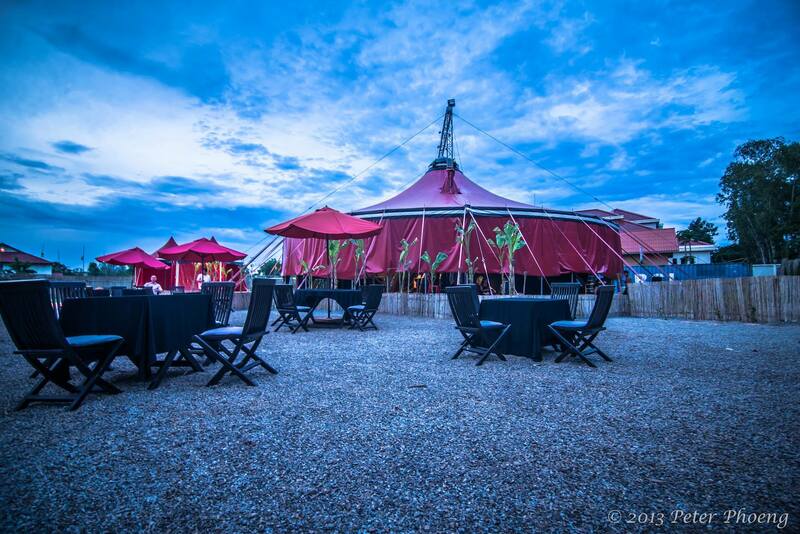 Phare is now internationally famous for the energy, passion, and talent of its artists and quality of its productions. Khmer Metal is nightlife, adventure, passion, love, hope, heartbreak, tears and derision with humour and humanity. Khmer Metal reflects on urban life while its rock band pounds like your heartbeat. In a funky, grungy Phnom Penh rock bar, the well-connected owner Bang Son, small dealer and occasional fraudster, is used to getting into trouble with his “brother” Chhaya, the nominal bar security guard. 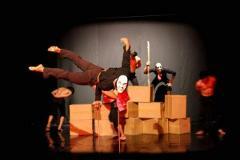 An edgy, progressive modern tale performed by talented young Cambodians using music, dance, acting and modern circus arts. The Adventure tells the moving and exciting story of a young Cambodian boy who leaves his hometown in search of a better life. He flees his home, where he is abused by his mother, and meets new unusual friends from a “medicine show” waiting for a taxi. When the “taxi” arrives, they all travel to Phnom Penh. There they get to experience the dark side of life, before our hero ends up beaten and robbed by a gang of thugs finally ending up in hospital. He is saved by a chance meeting with a band of smart street urchins, who take him in as one of their own, building his confidence and helping him to hold his head high. Bolstered by his adventures, he finally decides he is ready to return home. Phsong Preng is a modern Cambodian tale mixing high level theatre, music, dance, acrobatics and juggling, which carries you on an emotional and exciting journey through today’s Cambodia. Open seating in the two side sections. Some views are partially obstructed by support poles.